True finished her Grand Championship at the Crossroads Cluster, going Best of Breed 4 days in a row (and earning 2 OH Group placements!). 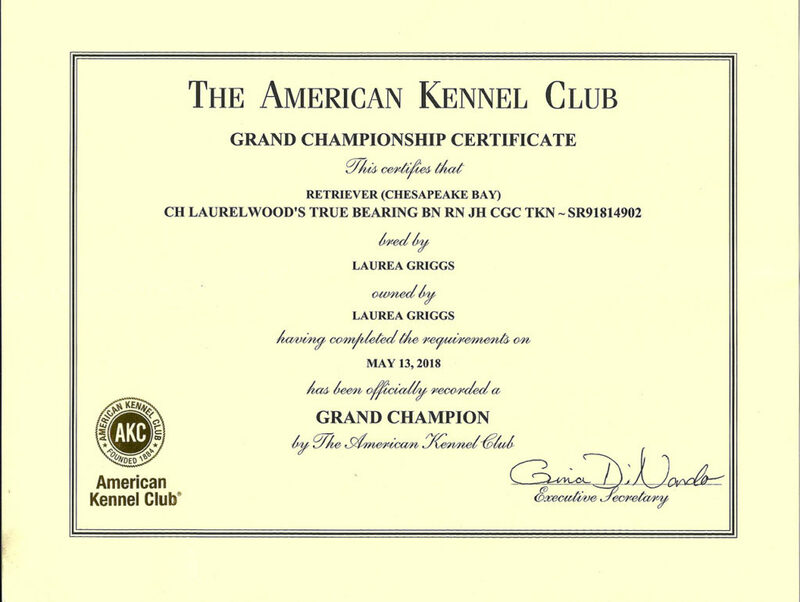 True was Owner Handled to all points and finished her GCH with 5 Major Wins! 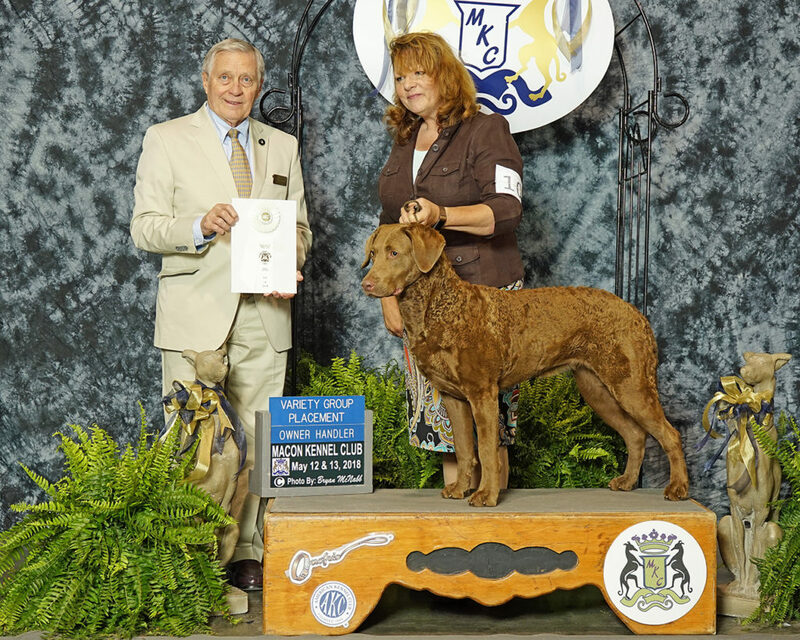 True #5 AKC NOHS Chesapeake!